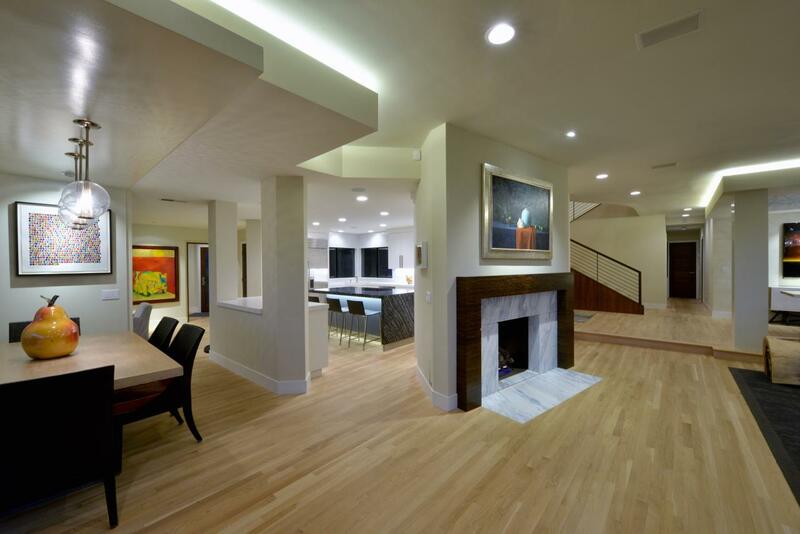 Transforming Traditional Into Contemporary - GDC Construction, Inc. The client wanted recommendations for an architect and interior designer, so we helped them find the ideal team to transform a faded 1990s home into a contemporary gem. 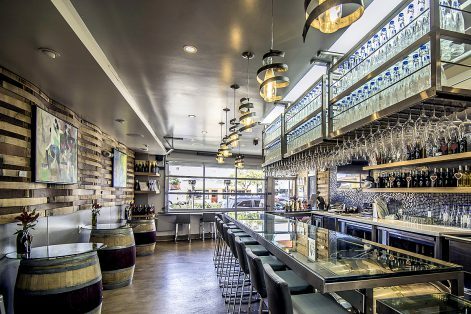 The extensive renovation added features that created a cool, modern and sophisticated design aesthetic that is a far cry from the original structure. 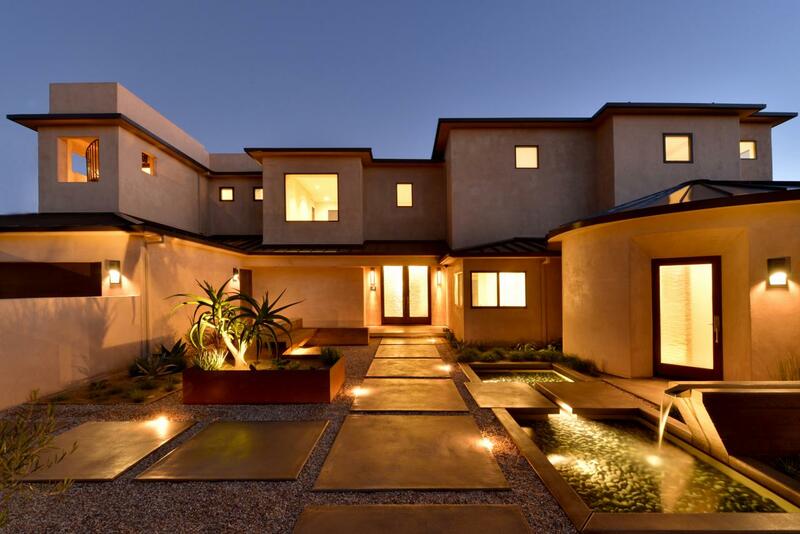 The renovation included the addition of a minimalist drought-free landscape on the exterior and a completely new interior including a custom kitchen, custom handrail, all-new lighting and HVAC system and a completely renovated master bedroom and bathroom. 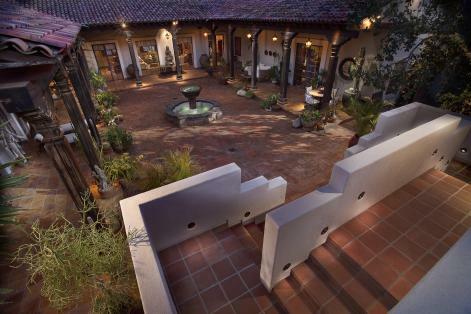 The client was extremely pleased with our work and will shortly be completing a second phase of remodeling, including the addition of a new pool. 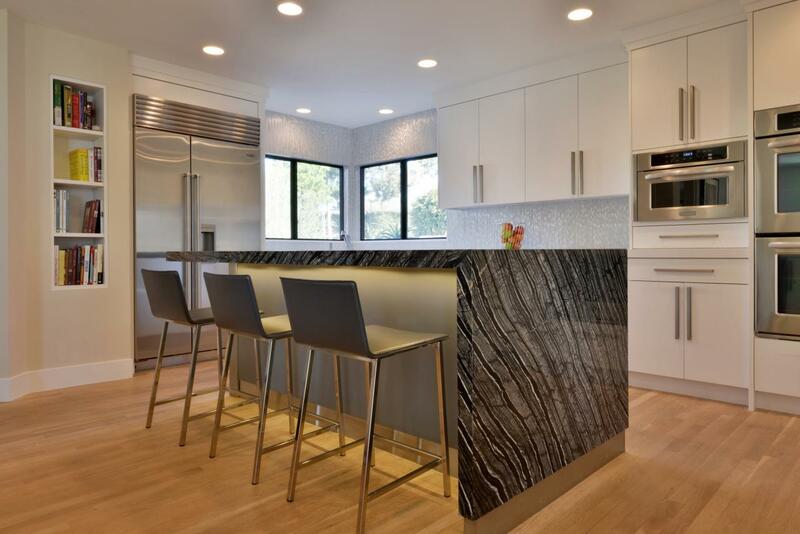 Designed by award-winning architect Ione Stiegler, the home was completely remodeled into a contemporary residence with clean, crisp lines. 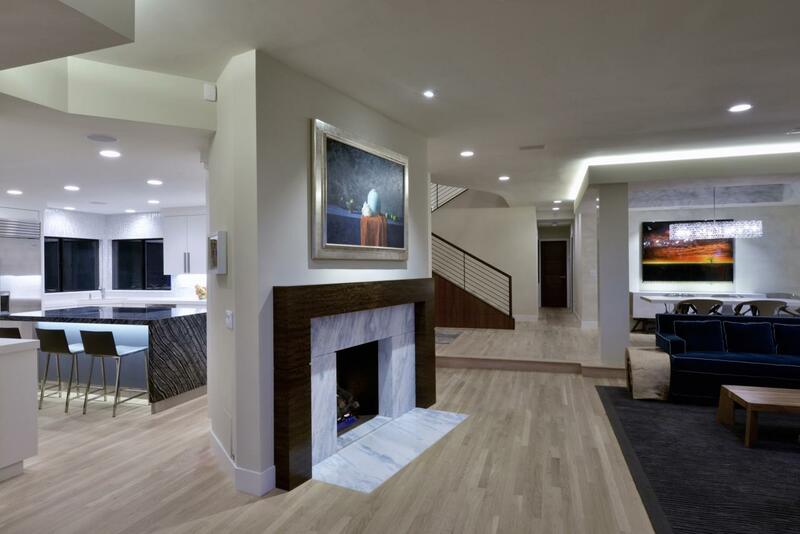 The modern lines are continued throughout the interior, which features lighted soffits that create display spaces for the owner’s art collection. 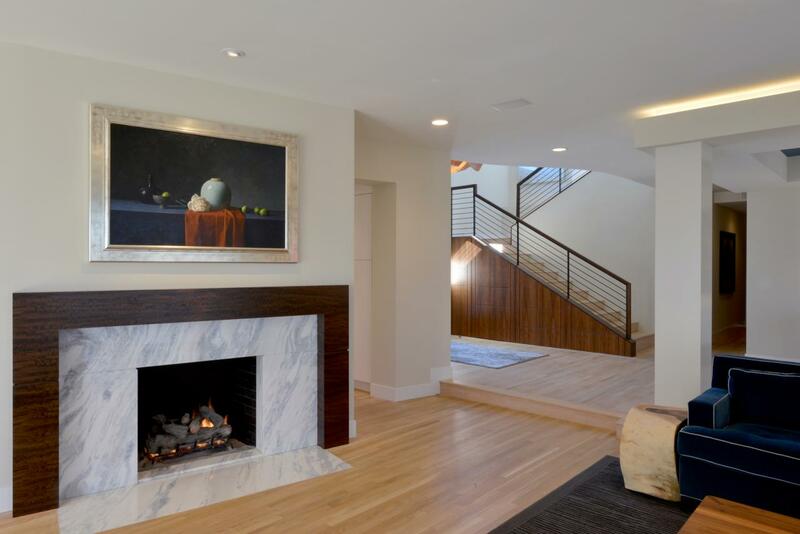 Renovating the existing structure involved integrating clean, modern lines with the home’s prominent joists. 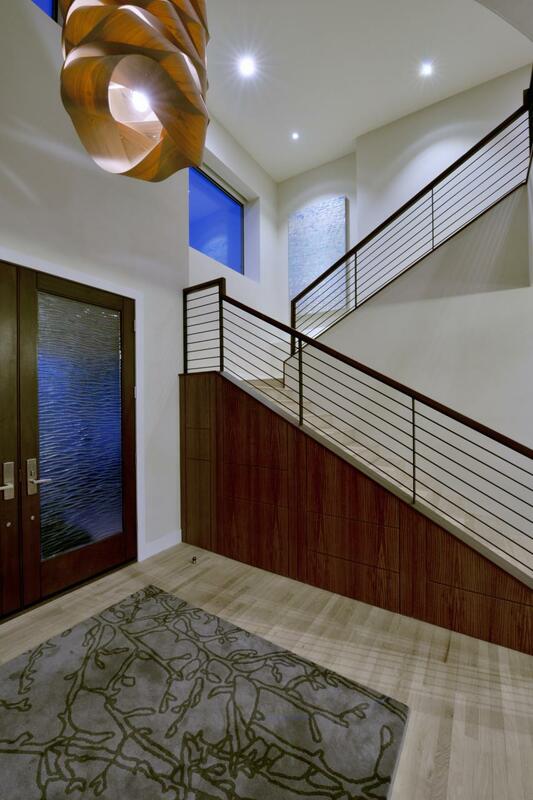 The new custom staircase has wood paneling that conceals hidden storage. 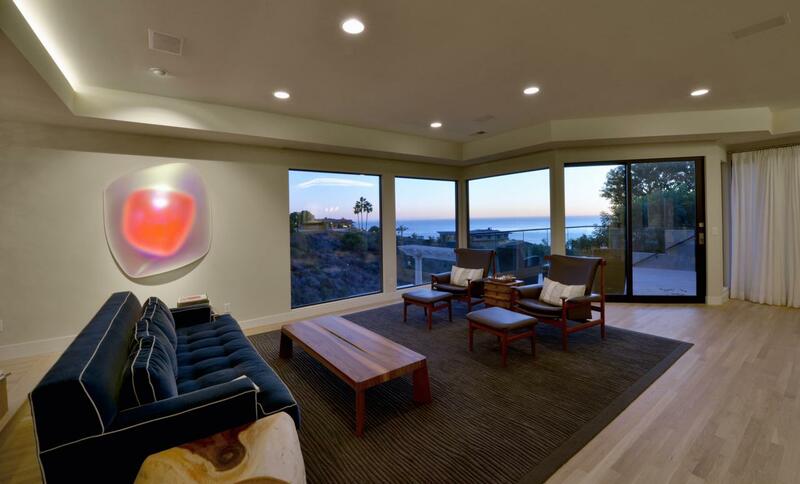 The home was designed to complement panoramic views of the La Jolla oceanfront. 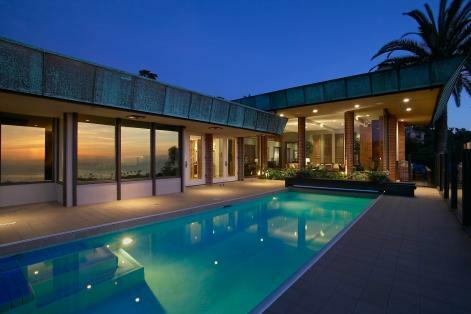 The modernist look was continued in the furnishings and detailing, including a custom wrought-iron handrail on the stairs and a unique wooden chandelier in the entrance hall. 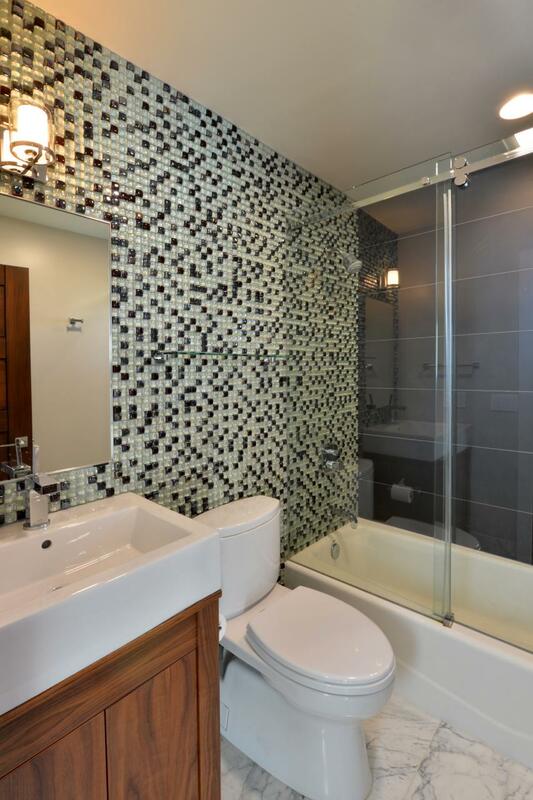 The guest bathroom has floor-to-ceiling glass bubble tiles, continuing the modernist aesthetic. 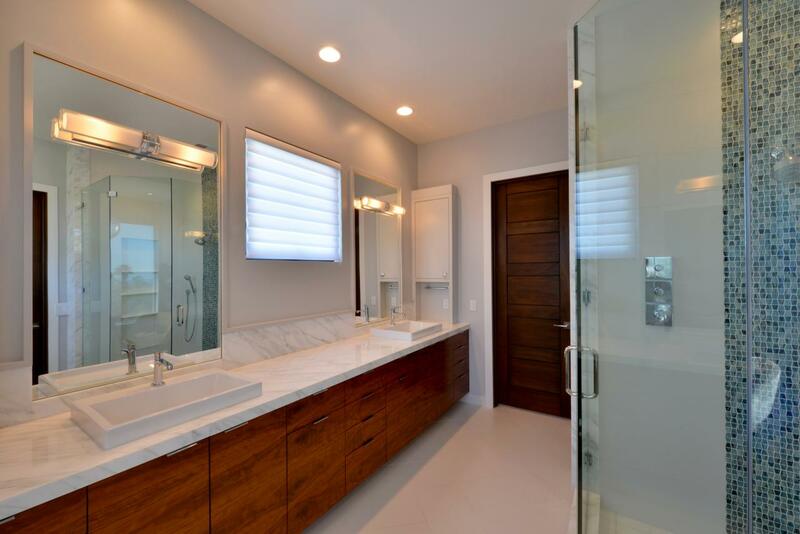 The master bathroom features beautiful custom wenge wood cabinetry. The all-new master walk-in closet has a built-in refrigerator and a coffee machine in a nook. 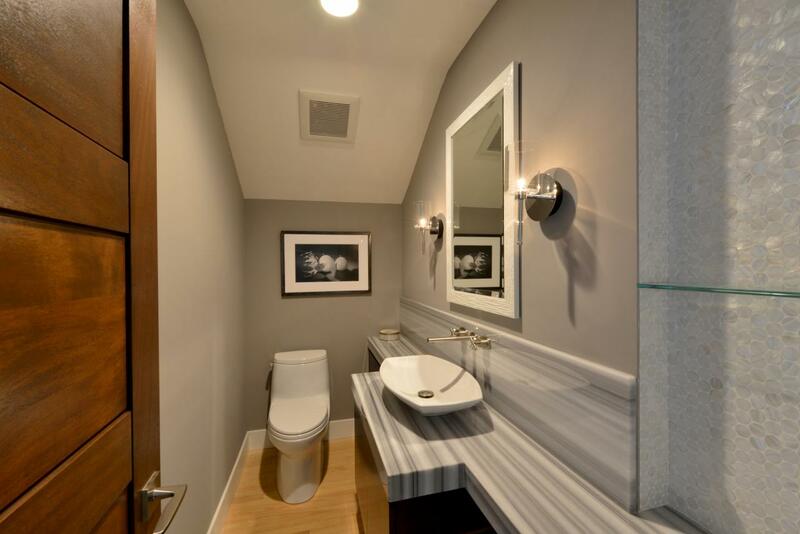 This powder bathroom was an addition, created from a space under the stairs that was previously used for storage.